Live on a small farm. Rent a 2 bedroom, 1 1/2 bathroom trailer home for $600 month plus deposit. We are located 17 miles from Ithaca and 12 miles from Watkins Glen in beautiful Cayuta Lake valley. 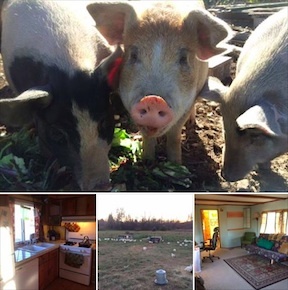 Home is situated on a small but busy permaculture farm producing pork, poultry, and gourmet mushrooms commercially. Space available for personal garden if desired. Friendly neighbors, thousands of acres of state land next door. Sorry, no pets. Good references required. Rent includes electric but not propane for heat and cooking. 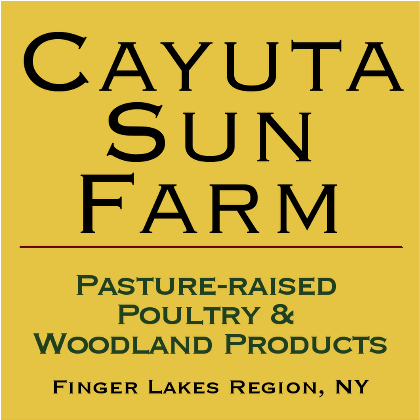 Visit CayutaSunFarm.com for farm information and write Michael@CayutaSunFarm.com or call 607-227-0316 to inquire. ← Free Aquaponics Greenhouse at Your School or Community Garden!